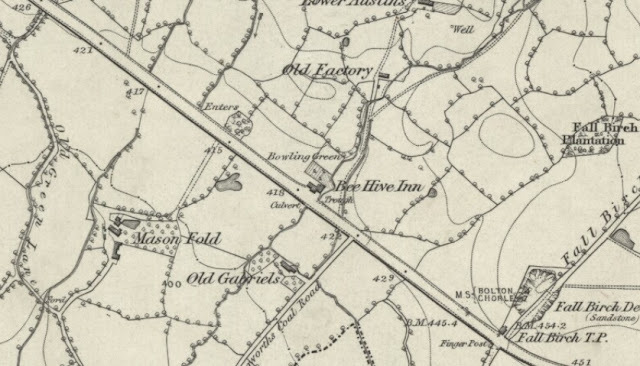 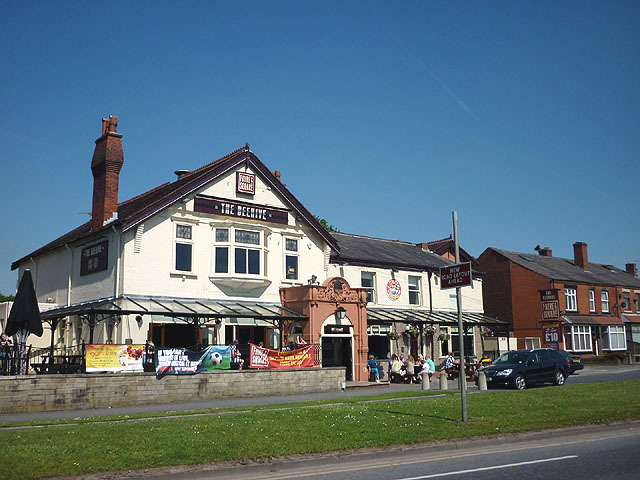 These days the Bee Hive is a Green King Brewery pub catering for food, children's play, TV Sports and has accommodation at the side in the form of a Premier Inn. It is handily located to the east of Horwich town centre in Lostock, near to the Macron Stadium and Middlebrook Retail Park, an area of significant development both industrial, retail and residential over the last 100 years. 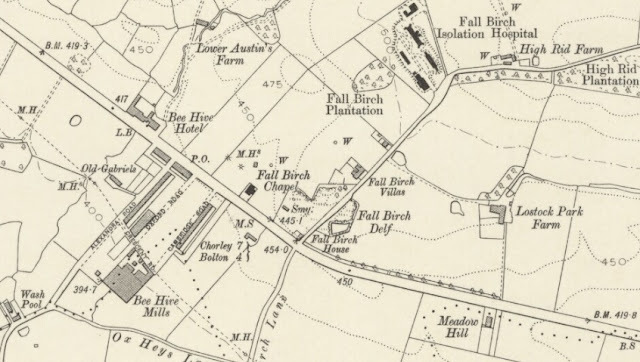 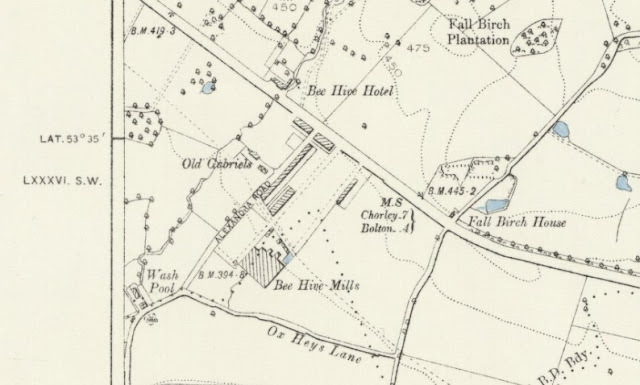 The building itself dates back around 200 years and is clearly marked on the 1845 map shown below. 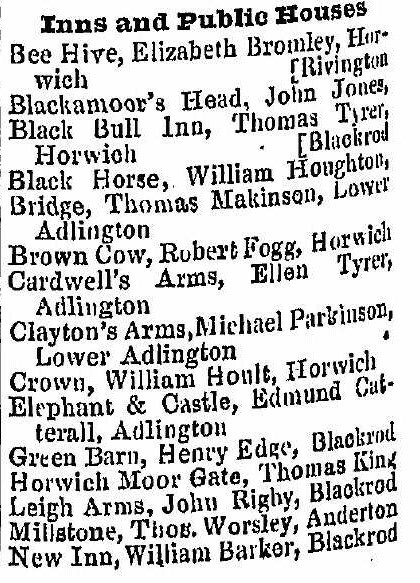 It was built sometime between 1825 and 1834 when it first appeared on trade directories for the area. 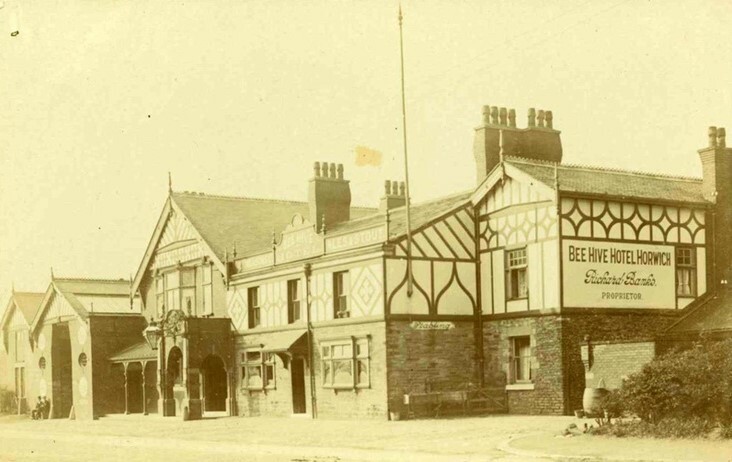 Whilst it still has an outside beer garden the bowling green has long since disappeared. 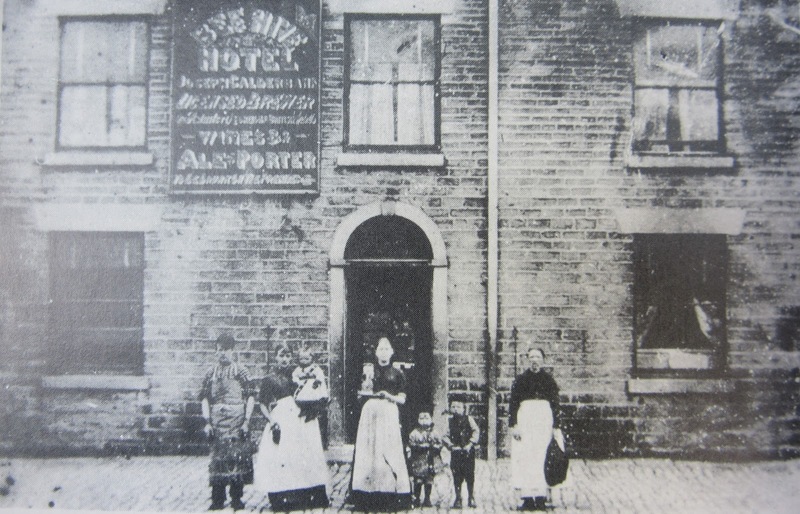 Listed landlords at the hotel were Edward Moon (1834), Peers Bromilow (1854-61), Elizabeth & Ann Bromilow (1861-72), Joseph Calderbank (1872-89), John Fletcher (1891-95), Roscoe Isherwood (1898-1901), Richard Banks (1905), Theodore Partington (1911), Joseph Owen Staveley (1924) and Chris Hunter (2017). Peers Bromilow was to take over behind the bar at the Bee Hive Inn during the 1840s. 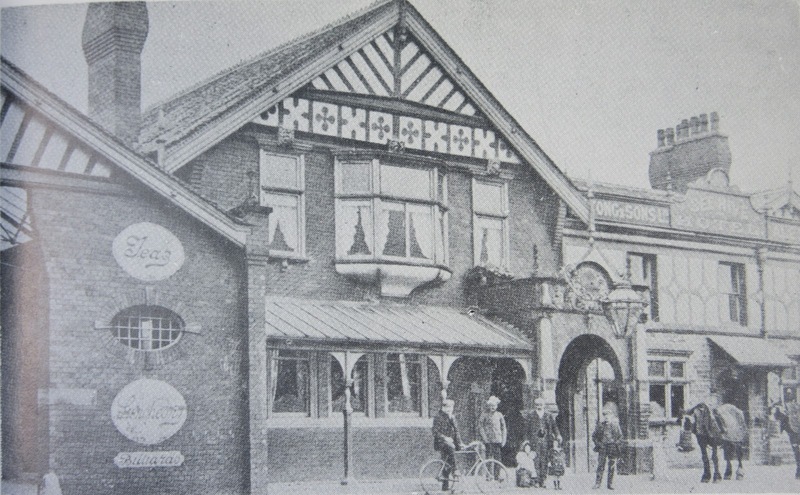 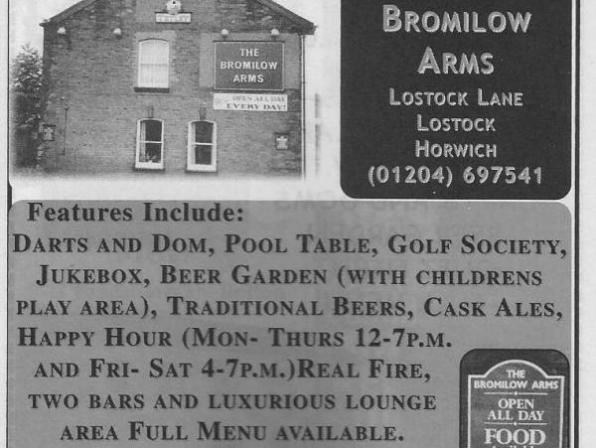 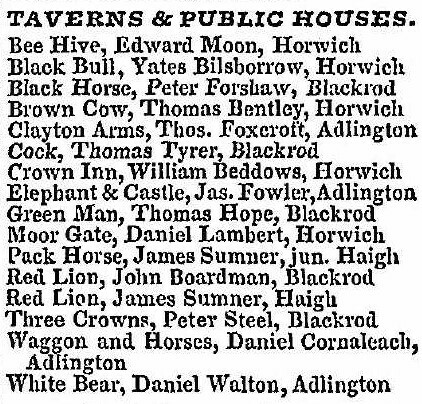 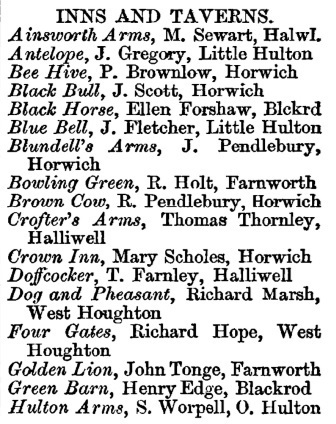 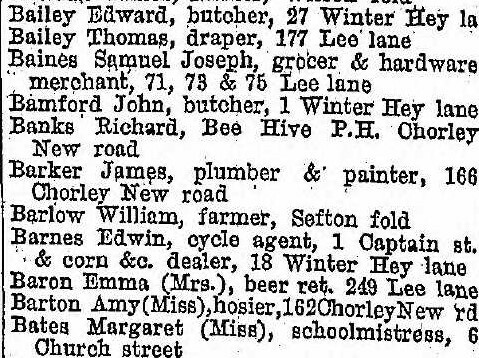 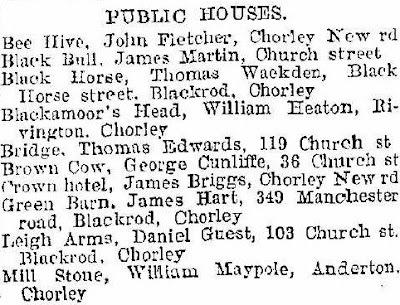 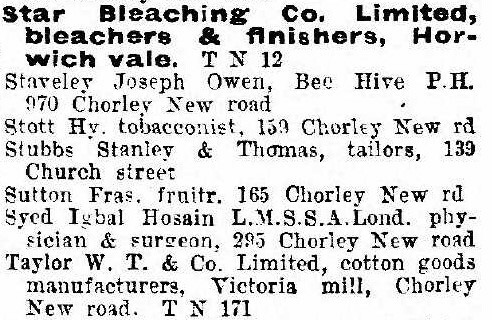 In 1841 he was running a "Beer Shop" close by on Lostock Lane, which continued in business until 2012 and was known as the Bromilow Arms. 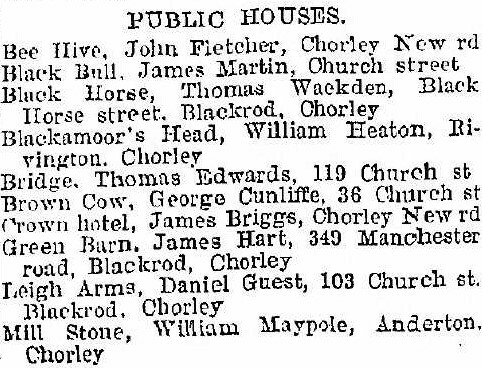 The next landlord, Joseph Calderbank came from a family with a long tradition of running taverns; his father John Calderbank was the landlord at the Bridge Inn c.1840-50s in the centre of Horwich where Joseph and his brother John grew up. John Jnr was also the licensee of the Sportmans Arms and later took over the Bridge after his father's death in the 1852. 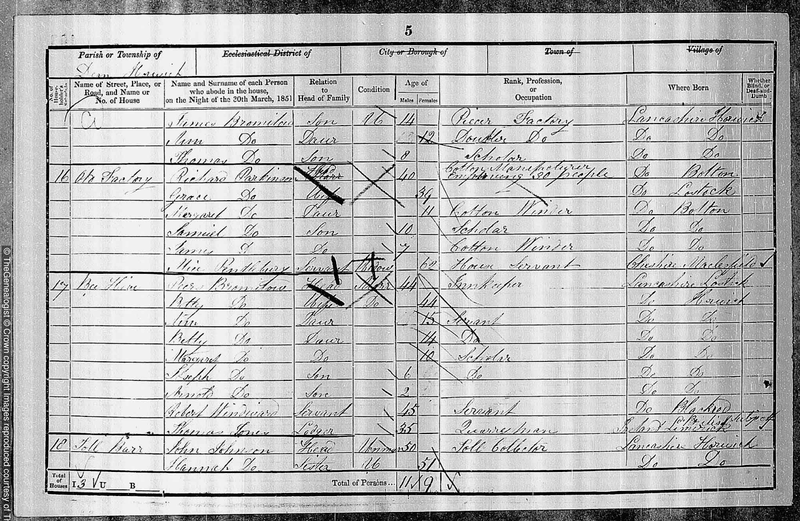 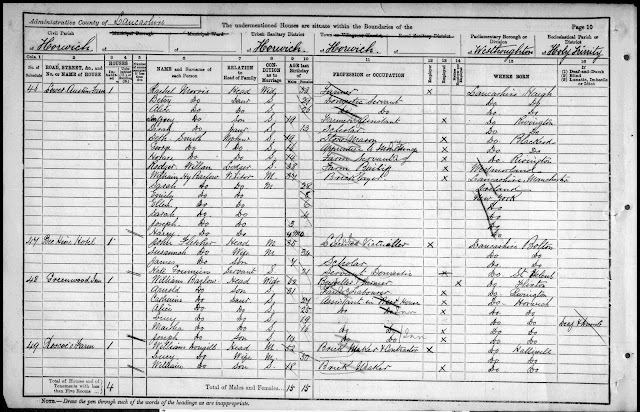 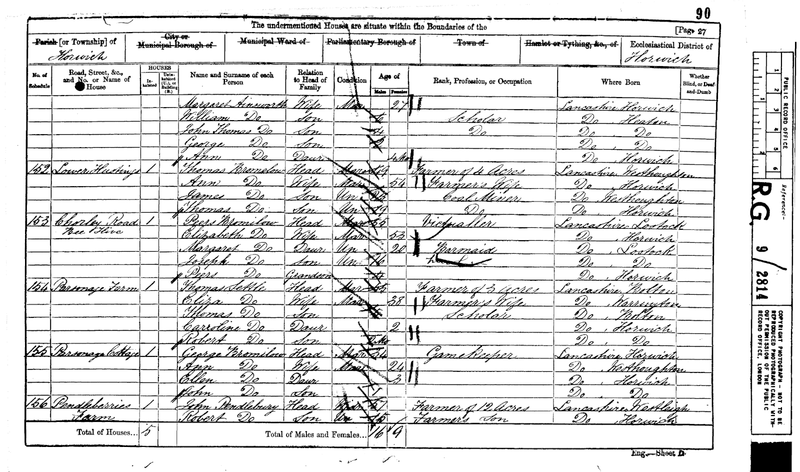 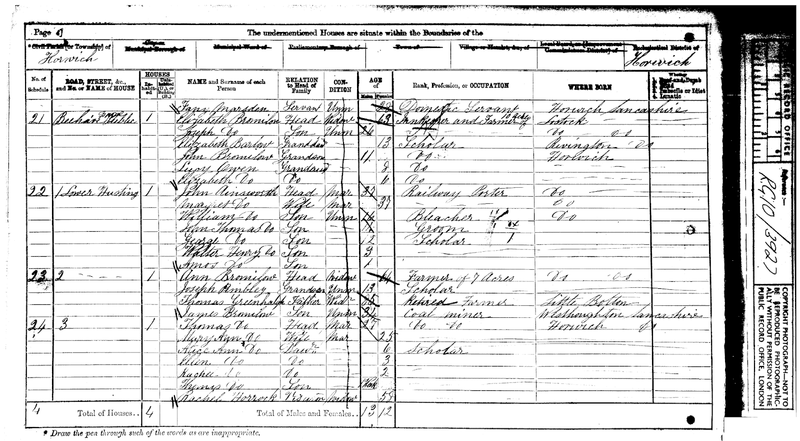 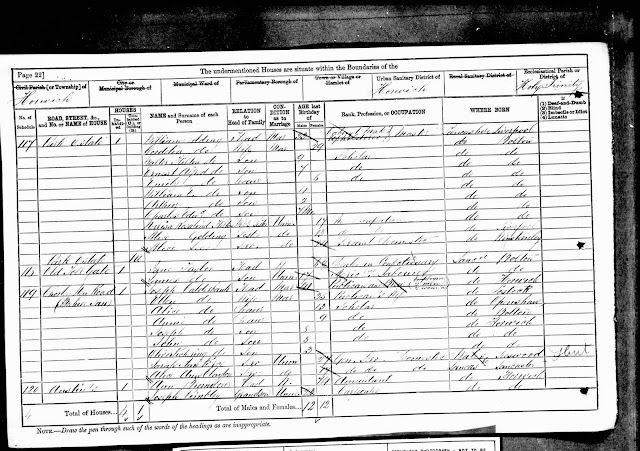 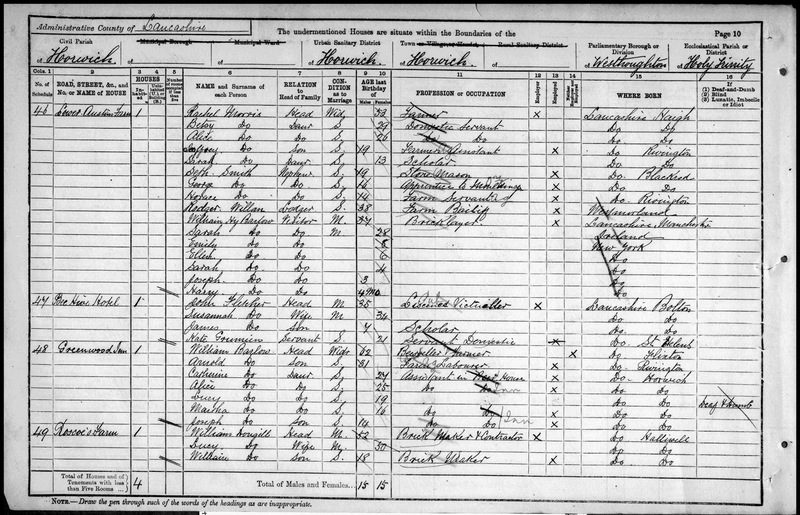 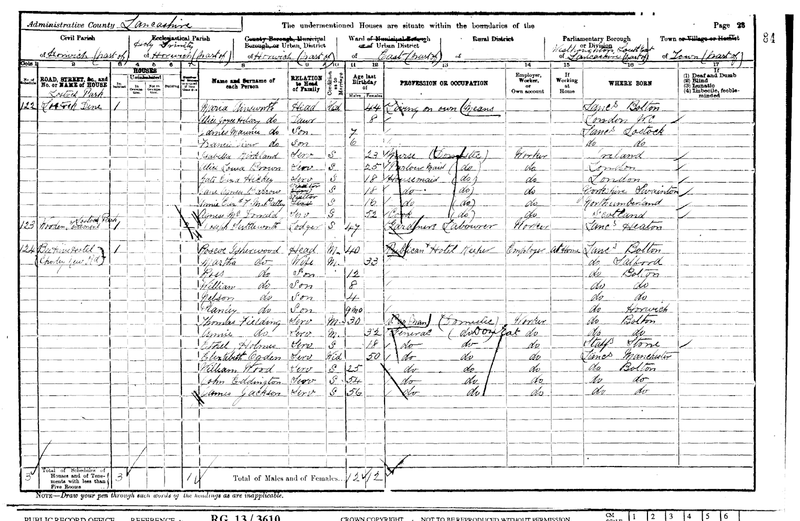 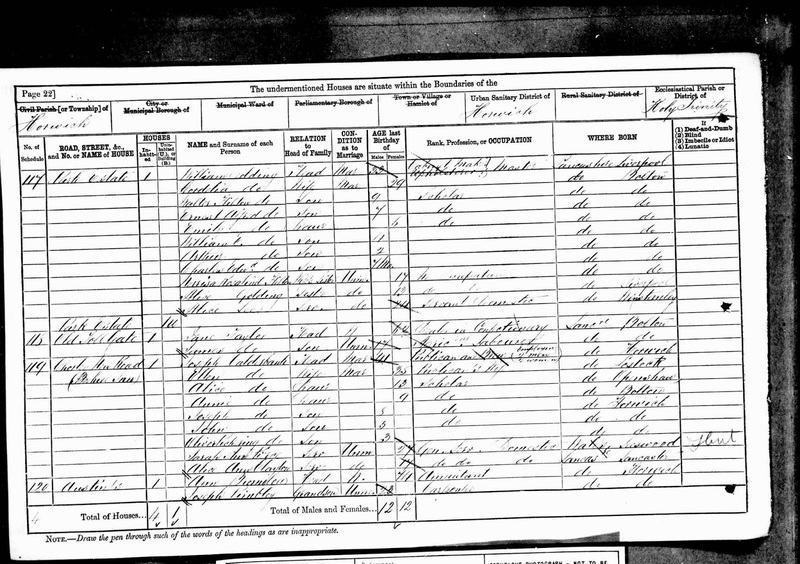 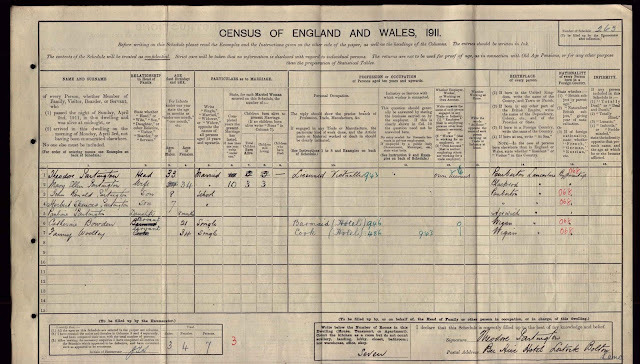 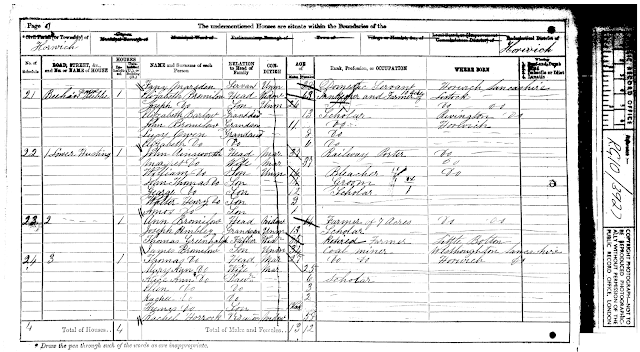 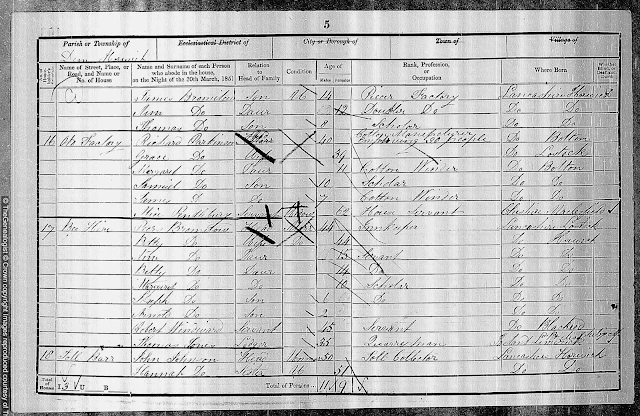 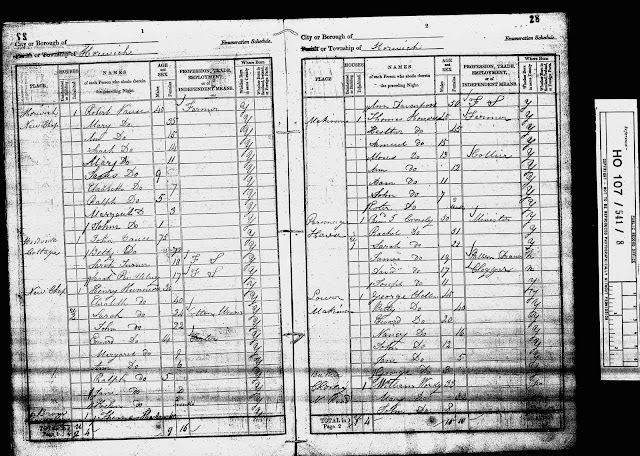 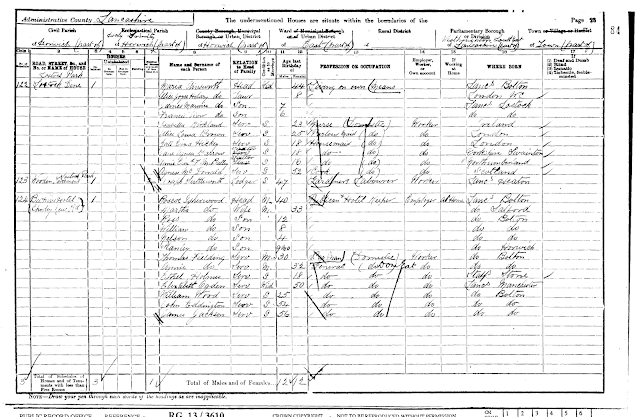 There was also a strong link between the Calderbank and Bromilow families as John Jnr married twice, to Ellen Bromilow (1857) and Betty Bromilow (1864). 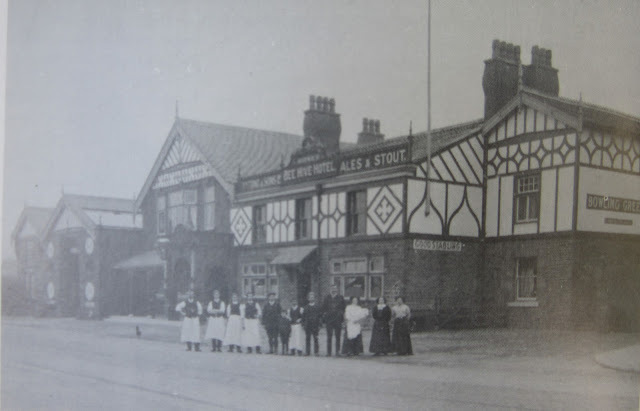 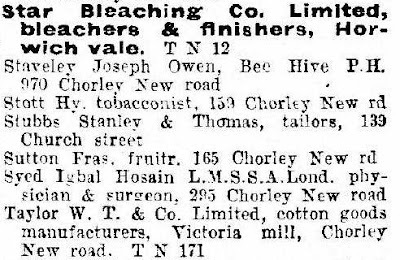 Roscoe Isherwood went on to move from the Bee Hive into the centre of Bolton where he ran the Prince William until his death in 1929.